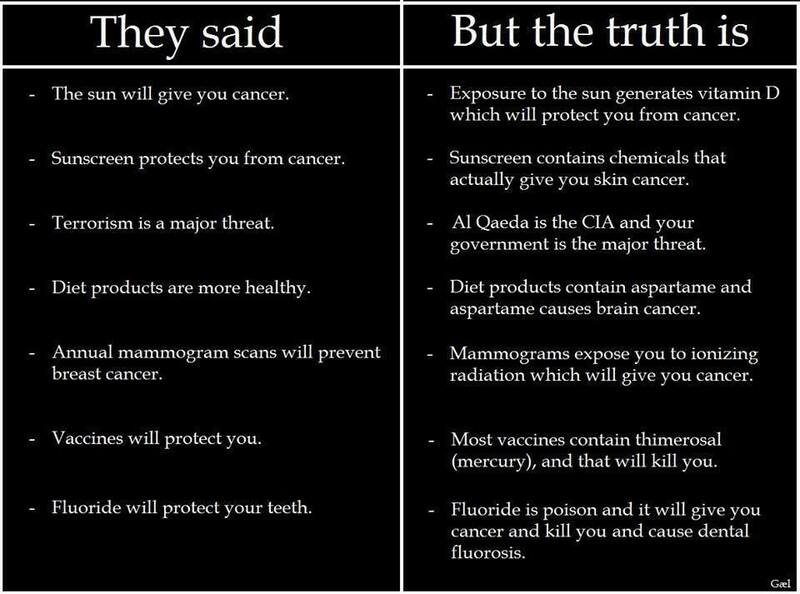 I realize that facts are anathema to most conspiracy theorists, but let’s inspect them anyway, just in case this meme is…you know…incredibly stupid. First, Mr Contemplative Chimp: Ebola did not just “up and vanish”. As of December 9, 2014, Ebola is an ongoing threat in West Africa. To date, nearly 18,000 people have been infected and more than 6,600 have died in the most widespread Ebola outbreak in history. I’m sure the people of Mali, Guinea, Sierra Leone, and Liberia would be thrilled if Ebola “up and vanished”, but that hasn’t happened. I suppose you mean that Ebola “up and vanished” in the United States, but that’s not accurate either. Despite peoples’ concerns, Ebola was never a major threat in the United States. There were four patients diagnosed with Ebola in the United States at the height of the US “outbreak”, one of whom passed away from the disease. And Ebola didn’t vanish; healthcare officials aggressively attacked the virus and contained its spread; subsequently, the remaining three patients recovered. Their cases have been well-documented; it’s not as if they were just swept under the rug, never to be heard from again. Now I think the US public’s reaction to Ebola was vastly overblown. There was no need for the 1980’s-AIDS-like panic that sprang up around a very small number of cases, and yes, the media did their part in fanning the flames of unease. But just because we blew this all out of proportion, that doesn’t mean Ebola was a “Wag the Dog” distraction from some deeper evil. Sometimes, bad things just happen, and they can happen without government assistance or complicity. But just for the sake of examining this issue thoroughly – and I know I’ll regret asking this – prithee tell: from what was the Ebola scare meant to distract us? Mike Shepard contends in an opinion piece written for DC Gazette that Ebola’s foray onto American soil was entirely manufactured. What evidence does he present in support of this audacious claim, you may justifiably ask? He claims that if Thomas Duncan had really been carrying Ebola when he boarded a plane in Liberia bound for Dallas, Texas, then all of his traveling companions should have been infected. After all, Shepard says, airplane passengers breathe recycled air. One person’s disease is everybody’s disease on an airliner. Of course Shepard completely ignores the well-established fact that Ebola is not an airborne virus, nor is it possible for a patient to spread the virus until he becomes symptomatic. Duncan was not yet symptomatic when he boarded the plane to Texas; therefore, it would be extremely unlikely for anybody to catch the virus from him at that time. The fact that the passengers of Duncan’s flight did not contract Ebola does not diminish the reality of Duncan’s unfortunate demise from that disease. But Shepard is not content to spew just one egregious piece of misinformation. Later, he asserts – naturally, without a shred of evidence – that the pseudo-Ebola scare was cooked up by none other than…ominous chord, please…President Barack Obama himself. In Shepard’s paranoid fever dream, President Obama is plotting a major jihadist war against America. What was Ebola’s role in all of this? It was meant to distract the public while Obama sent his lackey John Kerry to smuggle ISIS operatives across our border. I would understand if you thought I was making this up. Nobody can be that paranoid, can they? Nobody can be that blinded by their irrational hatred of President Obama, can they? Well, read Shepard’s piece and judge for yourself: he really seems to believe his paranoid claptrap. Okay, Shepard is a nutjob. 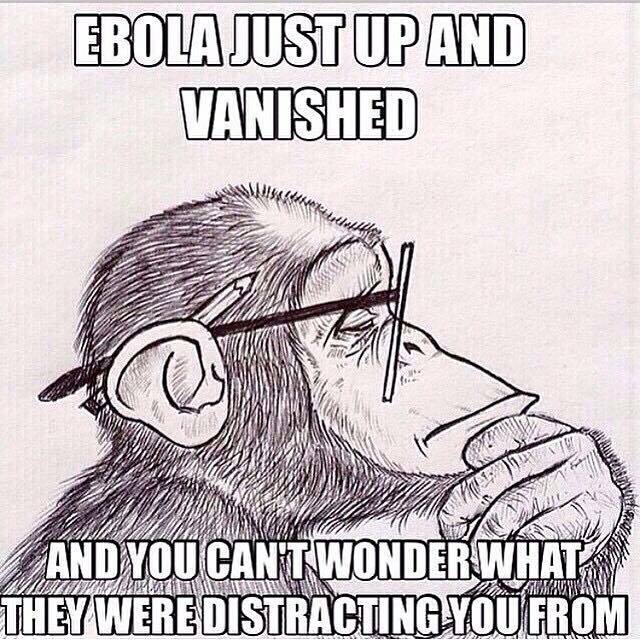 Is there anybody more rational that can show how Ebola was a manufactured distraction? 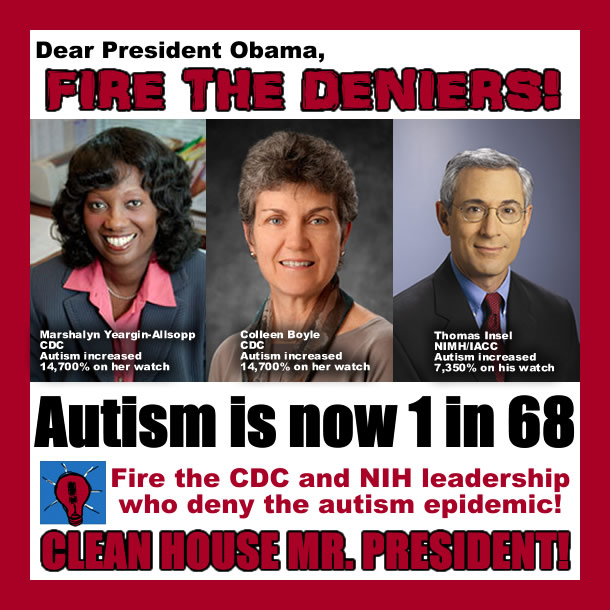 Ingri Cassel, the Director of Vaccination Liberation, thinks she can. According to a flyer written by Cassel, Ebola isn’t even a naturally-occurring disease. Cassel believes that the United States invented Ebola, and she has a patent application as “proof”. (In fact, the CDC holds patents for several microorganisms and viruses, as Snopes explains, but not because it invented them. The patents are meant to prevent for-profit organizations from patenting the organisms and extorting money from governments for research rights.) Cassel charges that the government’s intention was to cause an epidemic and then to profit enormously from vaccine sales. It should come as no surprise to anyone that the director of an organization called Vaccine Liberation takes a dim (and hopelessly misguided) view of all things vaccine-related. No wonder, then, that Cassel has fallen into the conspiracy-thinking trap. Anything she doesn’t understand, she adopts as “evidence” for that which she already believes. Cassel’s contemptible claims do not end there. She thinks that the ersatz Ebola outbreak is actually a vaccine-implemented sickness being used as an excuse to move troops into West Africa. And why should the United States or any other country want an excuse to move troops into West Africa? Why, to steal the region’s newly discovered oil reserves, of course. It all makes sense, as long as you don’t let pesky things like facts get in your way. Cassel’s ill-informed paranoid conspiracy theory goes on for almost two pages and draws heavily from the work of other conspiracy theorists. After reading her flyer, one is filled with sadness – not because we actually live in the bizarro conspiracy-ridden world she suggests, but because she feels compelled to grasp at nonsensical straws to support her dangerous ideology. I found a few more pages attempting to explain why Ebola is a distraction from something far more sinister, but the opinions of their authors seemed to fall along similar lines. I haven’t the energy to recap each one, so I’ll conclude by saying this: The Truth is out there, conspiracy theorists, but you cannot see it unless you’re willing to suspend your pre-formed beliefs. You think that everybody else is blinded by complacency; I submit that you are blinded by your inflexibility.